Oval NASCAR NASCAR Cup Series NASCAR teams attempting to confuse the OSS? The OSS is designed to be fast. Several old inspection stations were combined with the new OSS. The car can go through the inspection tent in about 90 seconds. NASCAR uses two different type of scans, depending on the color of the car. Light colored cars can use a low resolution scan, which is much faster. The alternative is a high resolution scan which is used for dark colored race cars. However, the high resolution scan needed for dark cars takes a bit longer. NASCAR says the OSS can measure up 1.2 million data points. However, teams might have found a way to confuse the state of the art disco tent. A crew chief told Kickin the Tires that teams have discovered a contrast in body color changes the average measurement from the teams. This allows the teams to push the boundaries a little further at tracks like Kentucky Speedway where downforce is important. Some teams have changed their cars. They have made the edges of the side skirts and fender wells black. A design element that wasn’t there at the beginning of the season. Teams that brought more black to the rear fenders: Ricky Stenhouse Jr, Ryan Newman, AJ Allmendinger, Jimmie Johnson, Kasey Kahne. 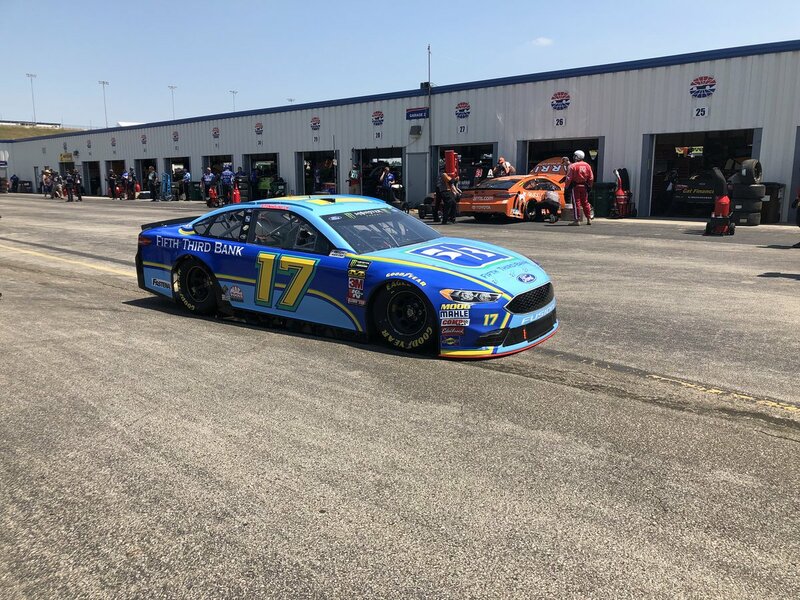 Ricky Stenhouse Jr’s car featured a 3-4 inch black stripe. The design of the black side skirt was extended up and all the way around the rear fenders. This design element wasn’t on in previous weeks. It also wasn’t part of the paint scheme preview that NASCAR puts out every week before the teams arrive at the track. NASCAR is aware of this as it’s been brought to their attention. However, they still have confidence in their equipment. 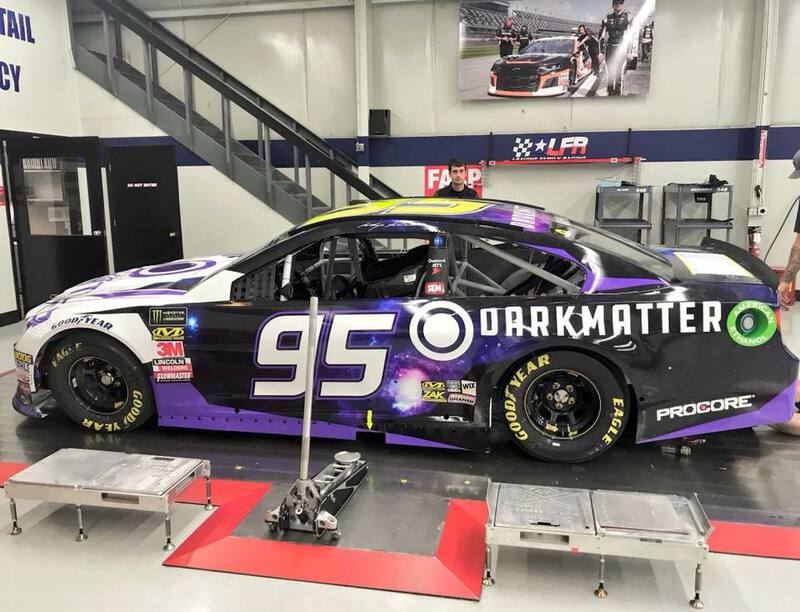 “NASCAR is fully confident in the ability of the Optical Scanning Station to help provide a level playing field for the garage. We continually update the software to stay ahead of any possible challenges,” the sanctioning body told Kickin’ The Tires. John Probst, NASCAR’s Vice President, Innovation and Racing Development stated that he believes the inspection tent has not been exploited. Following Kentucky, he reviewed data from cars with light fenders over teams that had dark rear fenders. His conclusion was he saw no appreciable differences in the data collected. NASCAR regularly updates the software on the machine. I don’t think you can call it cheating if the cars pass the NASCAR inspection tent. It’s just damn genius is what it is. Ironically, last weekend NASCAR brought fans inside the tent for the first time. Multiple scans throughout the weekend where broadcast LIVE via YouTube. Curious to take a look inside the NASCAR room of doom? Take a look at the video below.